Pyx of the Metropolitan of Hadrianopolis. 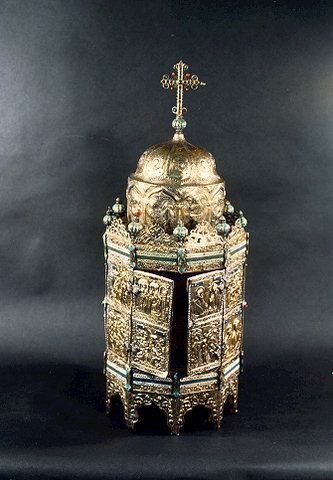 Nine sided, with cupola at top, inlaid with gold plated silver plaques with representations of Christ, the Virgin, the apostles, prophets and the Twelve Church Festivals. It has a metrical dedicatory inscription.